On Thursday, Commander Jeff Williams and NASA astronaut Kate Rubins spent 6 hours and 48 minutes conducting an E.V.A. (extravehicular activity...a.k.a. spacewalk.) It was the pair's second spacewalk in as many weeks, and allowed them to not only finish their intended tasks, but also a few "get-ahead" jobs. A backup thermal control radiator was retracted, bolts on a solar array were tightened, and two new HD cameras were installed to keep track of aliens incoming spacecraft and exciting visuals of Earth. 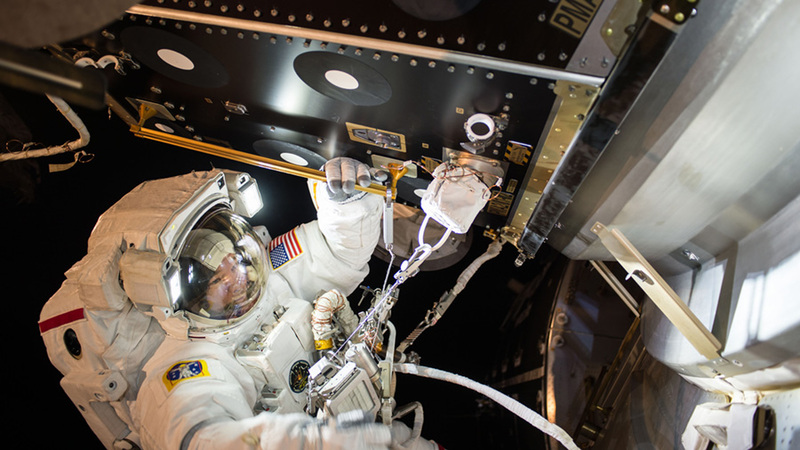 It was the 195th spacewalk conducted from the I.S.S. during his previous spacewalk on 8/19. He's got mad street cred, in space. While the spacewalk remained tranquil, a series of hurricanes squalled down below. Hurricane Lester in the Pacific (moving at 125 miles an hour), Hurricane Madeline (130 m.p.h. ), and Hurricane Gaston in the Atlantic (100 m.p.h.) were all wreaking havoc on the waters of Earth. All toll, the three hurricanes had no impact on the station, but certainly looked cool from space. 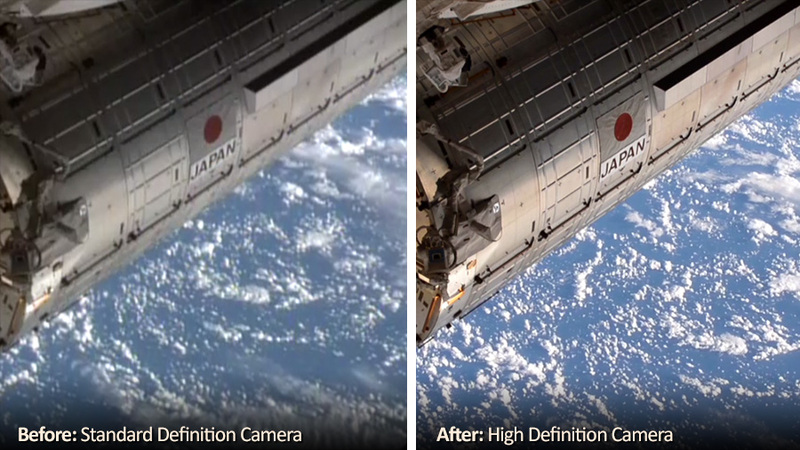 Seriously, good get on installing the new camera. Rubins, who is also a doctor, made history in space this week after successful operating a biomolecule sequencing device aboard the station. This was the first attempt at sequencing DNA in orbit, and could later prove useful for diagnosing diseases or identifying microbes aboard the station. For longer-duration missions, this could prove useful when far from Earth, and the sequencer could even be helpful in determining the nature of other DNA-based life forms should we run across any while outside our cozy little home planet. The cosmonauts also kept busy with science this week, examining issues like how deeply humans can feel pain on long-duration spaceflights, how the digestive system adapts to microgravity life, and how stress can affect different astronauts while on missions. "Also, it looks kind of scary as night falls." -some official space science report, probably. 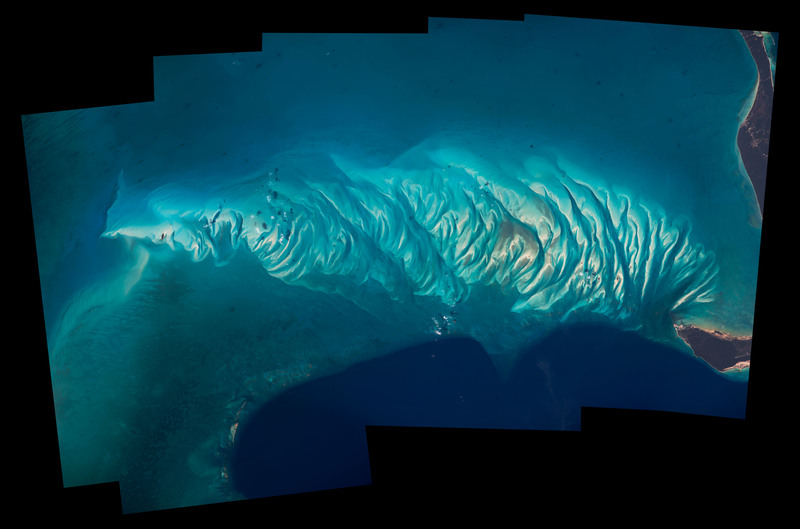 (Image courtesy Jeff Williams / NASA.gov. A "sand wave" in the Bahamas. That's all for this week, space fans! We'll see you next Sunday with even more excellence from orbit! Watch this space! "Need a mental escape from the summer heat? Try these frozen volcanoes of Kamchatka." And how about you'll check my blog about texting spy apps for android? 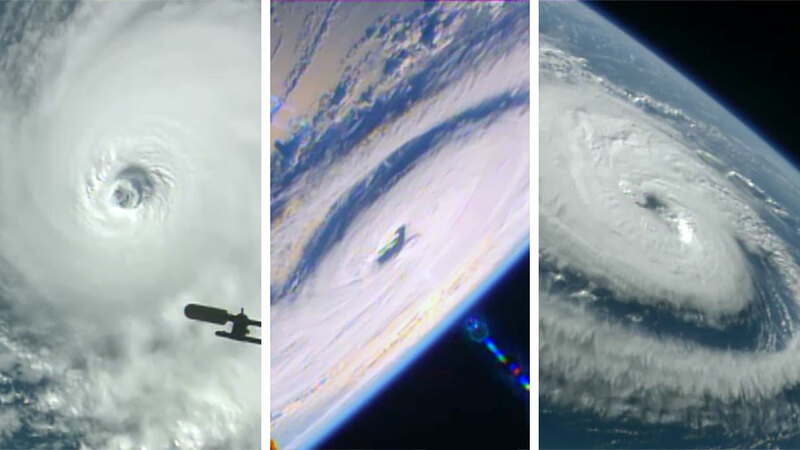 Satellite images taken of Three Hurricanes and a Spacewalk. the storm is very strong.